At Ubisoft, big video games like Assassin’s Creed are developed by hundreds of people at many different studios across the world. As you might imagine, this can be an organizational nightmare. 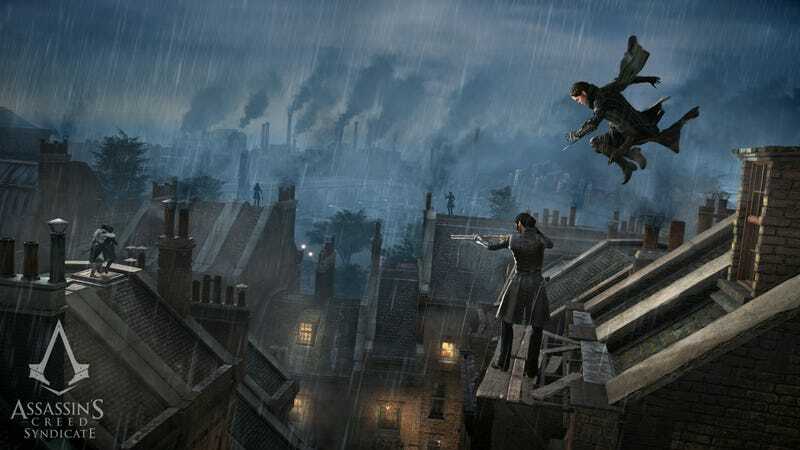 Former Ubisoft technical architect Maxime Beaudoin, who quit the company late last year to work on indie games, wrote a candid blog post today titled “Why I Quit my Dream Job at Ubisoft” that goes in-depth on what it’s like to work on the likes of Assassin’s Syndicate. While Beaudoin loved working on small teams for prototypes and games like Prince of Persia: The Forgotten Sands, he grew frustrated by the complex process of AAA game development—and how it felt like he was just one cog in a massive, unwieldy machine. With so much people, what naturally occurs is specialization. There’s a lot of work to do, and no one can master all the game’s systems. So, people specialize, there’s no way around it. It can be compared to an assembly line in a car factory. When people realize they’re just one very replaceable person on a massive production chain, you can imagine it impacts their motivation. On top of that, there’s often too much people involved in making a decision. Usually you don’t want to make a decision in a meeting with 20 people, it’s just inefficient. So the person in charge of the meeting chooses who’s gonna be present, and too bad for the others. What it’s gonna be? A huge, inefficient meeting where no decision is taken, or a small meeting that goes well but creates frustration in the long run? Combine this general sense of malaise with the exhausting and unhealthy practice of crunch and you’ve got a system that seems pretty damn hard to sustain. Beaudoin’s first post-Ubisoft project is a puzzle game called OpenBar that comes to mobile next week. You can check out the trailer here.